Welcome to paradise! Your guide will be waiting outside the arrivals terminal with a sign with your names on it. He will then drive you to La Fortuna where you will check into your hotel, Volcano Lodge & Springs. 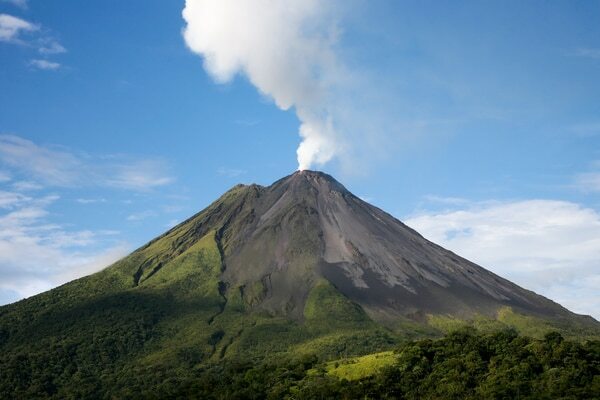 Located on the outskirts of the amazing Arenal Volcano your hotel is set in lush tropical gardens with a series of hot springs and a warm swim up bar. Its a large resort with excellent facilities and in a great location only a short way from the main town. You will have a volcano view from your room! 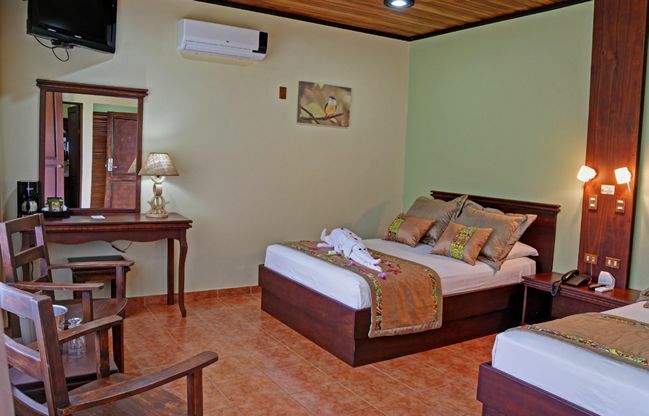 This is your time to relax and enjoy the beauty of the Arenal area. Enjoy the whole day at your own pace. Why not just enjoy your hotel, soak in the pool and enjoy a delicious cocktail or maybe you can head into the town for some souvenir shopping. Overnight Volcano Lodge. Breakfast included. Bring on the adrenaline! 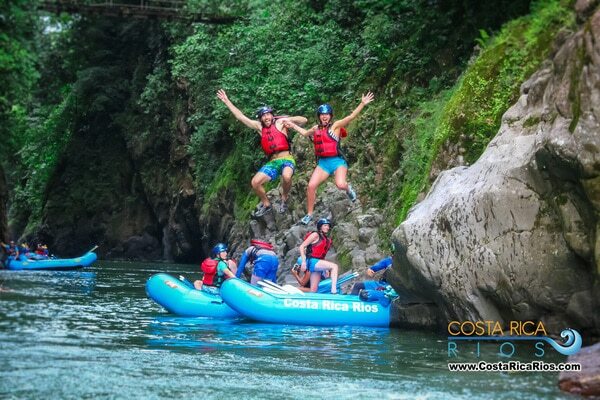 Challenge yourself to the thrilling, class 3-4 Costa Rica rafting with lots of exciting, continuous rapids right near the Arenal Volcano! 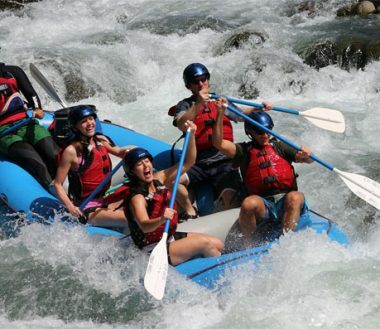 Costa Rica whitewater rafting is considered some of the best in the world. Drop in to over 45-continuous rapids along more than 16 kilometers of deep-canyon gorges and waterfalls where you will probably see sloths, monkeys and tropical birds, such as toucans and the Montezuma Oropendula. Stop along the way for a nice, tropical fruit break and afterward you will be taken out for a typical Costa Rican “casado” lunch. Overnight Volcano Lodge. Breakfast and lunch included. After all that adventure it’s time to head to the beach for some surf, sun and sea. You will be driven along the scenic route (shared shuttle), through the hills heading down to sea level. As you get closer to the coast, feel the temperature rise and get ready for some hot lazy days. 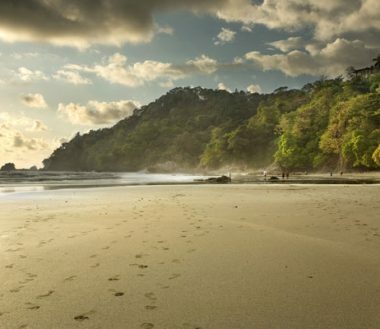 You’ll arrive at one of Costa Rica’s best beach destinations, where you’ll check into your hotel, Costa Verde. 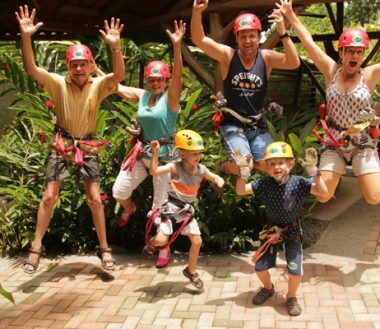 It is a jungle oasis in Manuel Antonio, with legendary white sand beaches and a National Park that will make for an experience unlike any you have imagined. Breakfast included. Spend today however you wish. 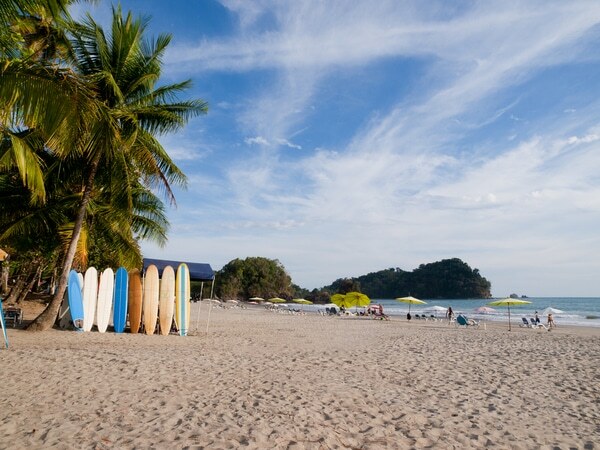 There are any number of activities to take part in in Manuel Antonio, from snorkeling tours to surfing lessons. Alternatively, take the chance to relax at the beach and enjoy the surf, sun and sea. You choose how busy you would like to be. Overnight Costa Verde. Breakfast included. 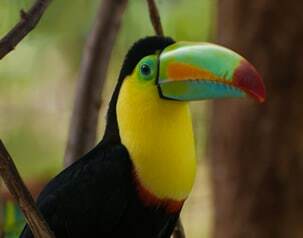 This park is an exceptional place for wildlife viewing, a big part of any honeymoon to Costa Rica. You are almost guaranteed to spot sloths, iguanas and several species of monkeys, as well as other exotic creatures. Your naturalist guide will pick you up from your hotel and will lead you along well kept trails to hidden beaches all the while pointing out interesting things along the way. Enjoy a dip in the sea nad sink your toes into the soft sand of the beautiful Pacific beaches before returning to your hotel to relax by the pool, have a couple of sunset cocktails or explore a little of Manuel Antonio. Overnight Costa Verde. Breakfast included. Your private shuttle will collect you from your hotel and take you to San Jose in time to join your international flight home.